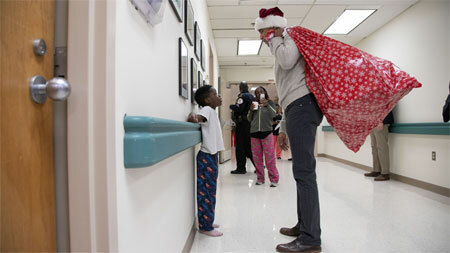 Former President Barack Obama visited children hospital in DC dressed in Santa Claus hat and carrying a bag full of gifts. 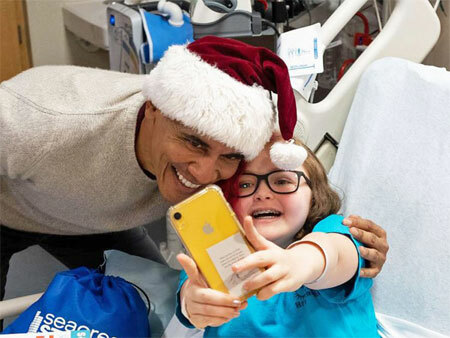 Fully embracing the holiday spirit, the 44th American President Barack Obama visited the Children's National Hospital in Northwest Washington, D.C. on Wednesday. He was carrying a bag full of gifts dressed in a Santa Clause hat. 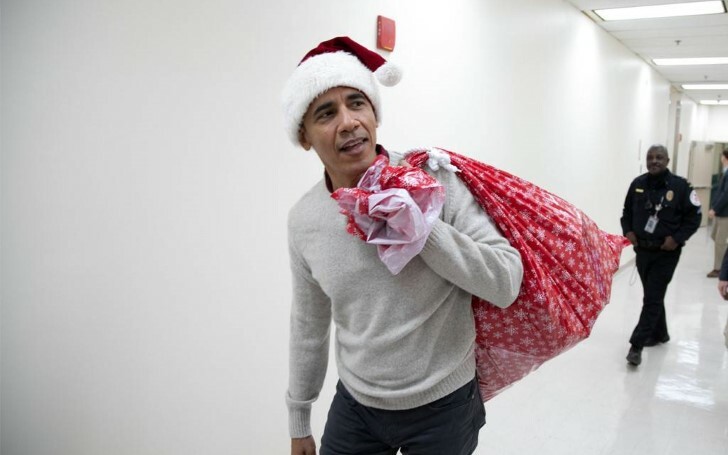 The former President Obama greeted individual patients and stopped by several playrooms while delivering some Christmas gifts collected by him and his staffs. During his visit, he not only delivered presents but also spent some time with parents and siblings of the kids spending their holiday in the hospital. Former President Barack Obama talked to a young boy at the Children's National Hospital in D.C. The boy looked up in awe, but maybe he was more interested in the giant bag of presents Obama carried. Obama broke his "no selfie" rule and smiled with one of the patients at Children's Hospital. In a video shared on the hospital's official Twitter account, Barack Obama is seen singing We Wish You A Merry Christmas with the staffs. During his speech, he also thanked the staffs from the hospital for their work. “We had a chance to talk to some of the wonderful kids and their families at a time that is obviously tough to folks. As a dad of two girls, I can only imagine in that situation to have nurses and staff and doctors and people who are caring for them and looking after them and listening to them and just there for them and holding their hand, that is the most important thing there is." Lately, the President has been paying a lot of surprise visits. In November, on a book event of Michelle Obama's new memoir Becoming, Obama snuck onstage with a bouquet of flowers. Michelle was in the middle of being interviewed by Obama's former Senior Adviser Valerie Jarrett. He joined the two women for a few moments.